Ortús musicians are bringing their music into the community during the festival in collaboration with Cork ETB School of Music, CIT Cork School of Music and Cork County Council. • Chamber Music Masterclasses given by Ortús musicians to students of Cork ETB School of Music in Glanmire Community College with a short concert and meet the musicians Q & A session. An Open Rehearsal will be held at the CIT Cork School of Music from 2-4pm where the public have the opportunity to see how the musicians work together to bring the music to life. Trio Con Brio were formed in September 2017. Katie studies violin in Macroom, Laura learns cello in Glanmire and Alice has piano lessons in Ballincollig. They come together on Fridays in Ballincollig to play chamber music. They have played in many concerts around the county in the last two years and they won the Senior Chamber Music competition of the Cork ETB School of Music last May. Trio Con Brio will perform on Saturday, March 2nd at 7.15pm in The First Fruits Arts Centre Watergrasshill. 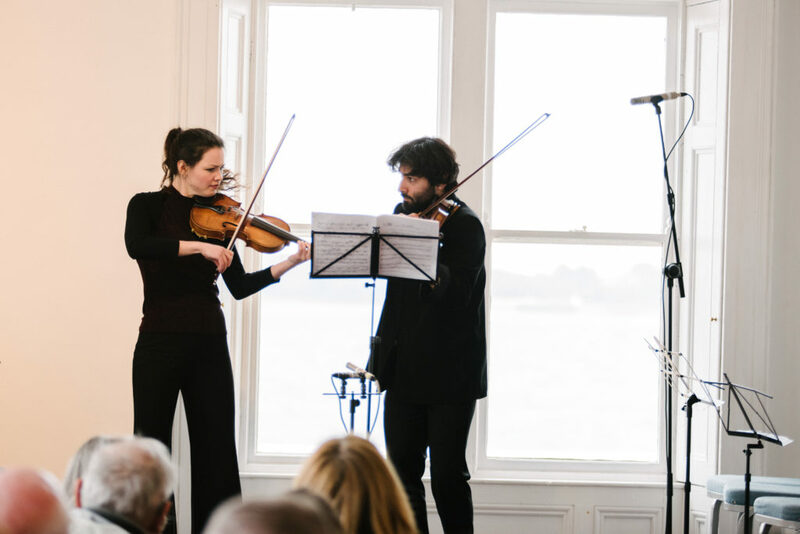 The Dunamase Piano Trio was formed in September 2018 and is coached by Gregory Ellis and Michael Mc Hale. All members are students of the CIT Cork School of Music, Caoimhe studies violin with Siun Mine and is currently in her first year of the BMus degree. Alina is a cello student of Christopher Marwood, and in sixth year at Regina Mundi College. David Vesey studies piano with Santa Ignace and this is his second year in the BMus degree. The trio will be performing works by Ludwig van Beethoven and Gabriel Fauré. The Dunamase Piano Trio will perform on Sunday, March 3rd at 2.15pm in the Curtis Auditorium, CIT Cork School of Music.